From Massa Lubrense it is not only possible to get to Marina del Cantone, you will also be able to admire many other scenic spots along the coastal road. 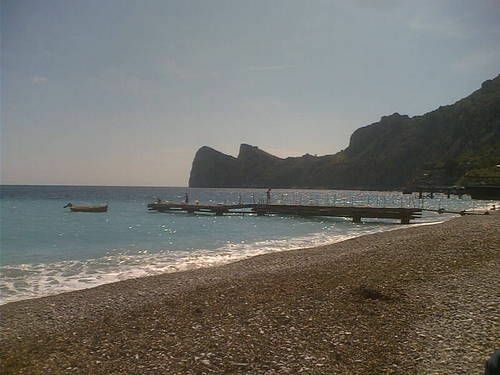 Among them you can go past Termini and relish its scenic drive and vistas and then drive to Nerano, a town where some hiking trails connect to the beautiful Bay of Leranto and walk to Marina del Cantone. This little quiet village is the electee of international celebrities and tycoons for its restaurants and adorable setting with a little stretch of pebble beach. Its waters also magnetize divers and have been established as a marine reserve which stretches over 11-sq-km. It is called the Punta Campanella Marine Reserve. The reserve protects flora and fauna of amazing beauty which lives submerged in this clear water of grotto where ruins can be found. If you dare there area courses for all levels of expertise ranging many ages. You can do snorkelling trips, go cave diving or deep dive near Capri and Li Galli islands, the mermaids’ home, according to legends. Lo Scoglio is the electee of international stars, which is reached by sea. The place is set in a made of glass which houses a kitsch fountain on a wooden jetty. You will find all its dishes are outstanding. Simple and elaborate dishes are served for discerning palates. BY BUS: There are regular buses from Sorrento to Marina del Cantone (length: 1 hour, services: 10 a day).